Found this membership card this afternoon. Apparently I was the 33rd supporting member to register. Note the original IMBOC logo. 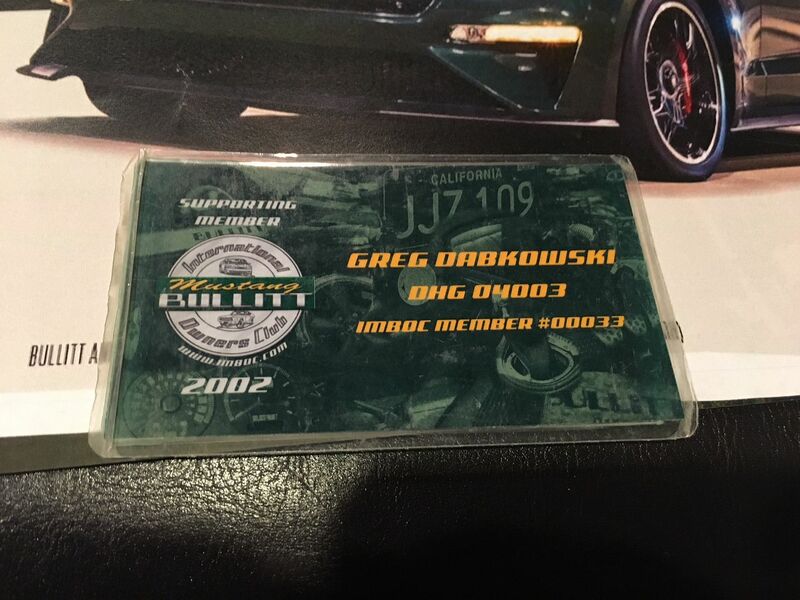 I joined back in July of 2001, not sure when I became a supporting member...sometime in 2002 obviously. Tony Alonso, Serpent, DavidMidgley and 3 others like this. Last edited by Bullitt4003; 07-03-2018 at 07:30 PM. Yes. 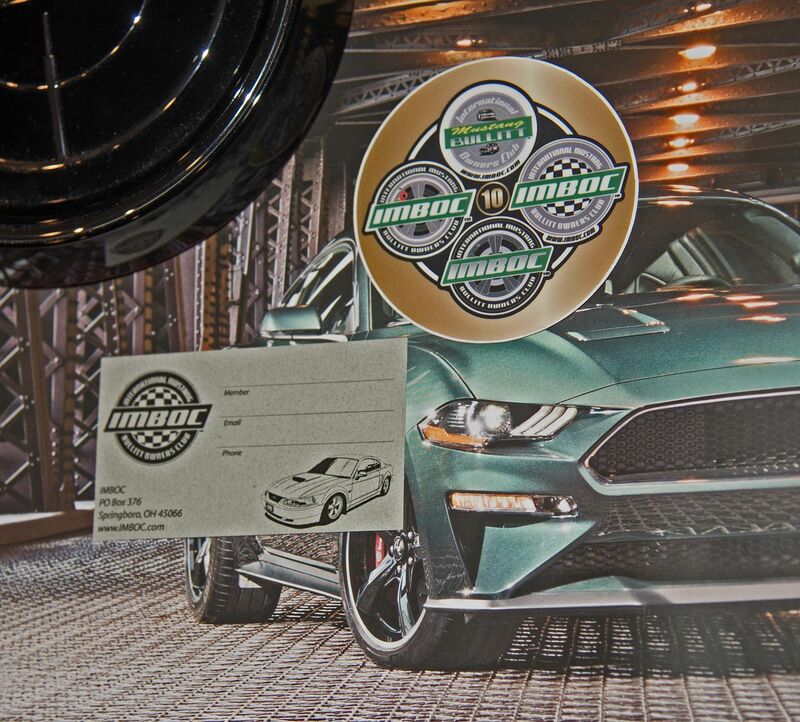 I still have mine......buried in my Bullitt bin. These are history - hang on to that! 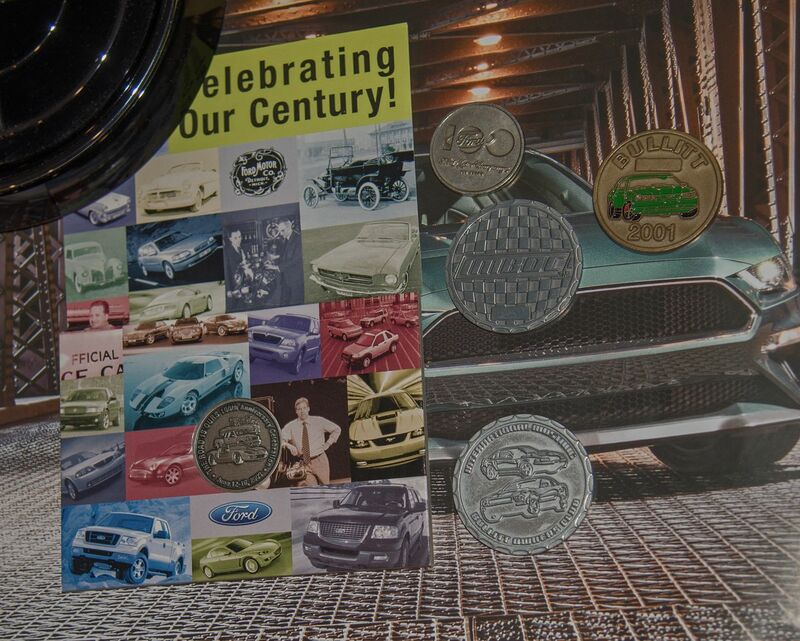 now....how many have both the original Bullitt challenge coin as well as the second issue Bullitt coin? Tony Alonso and bullit4404 like this. Here are my challenge coins (two of the second edition) along with the coin that Ford handed out to those of us who participated in Ford's Centennial Celebration back in June of 2003. I did not have my first edition coin engraved with my Bullitt's number. TwoStangWmn, Tony Alonso and bullit4404 like this. 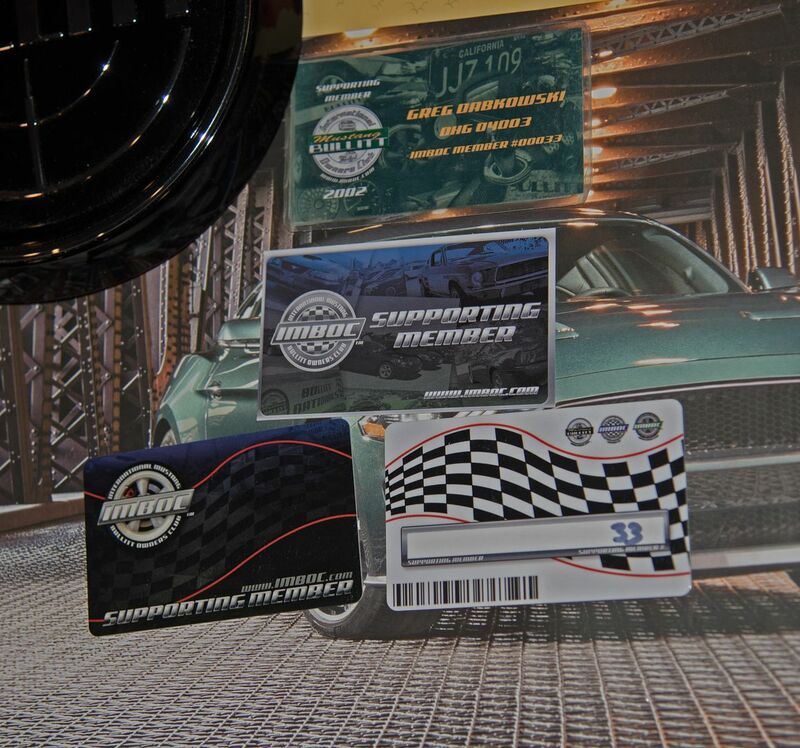 Apparently there were three versions of the membership card. Here is the tenth anniversary label that featured all 4 vintages of the IMBOC logo. Also, Mike gave paying members a collection of calling cards to drum up interest in this site. Thanks for sharing all these - very nice!